Technically we have arrived at the halfway point of this first series of the Behind the business podcast. The aim is for 30 chats per series but the wonderful thing about podcasts is that the only person I answer to about that is me. So watch out, there could be less than 30 or there could be more...who knows (well, I do). This weeks chat is with Jen Moss. Jen is currently a music supervisor working in house at Warner Records. Some of her recent credits include: Prevenge (Alice Lowe), I, Tonya (Margo Robbie) and American Animals (Evan Peters). Check her out on IMDB for her full list of credits. Jen and I talked about all things sync. 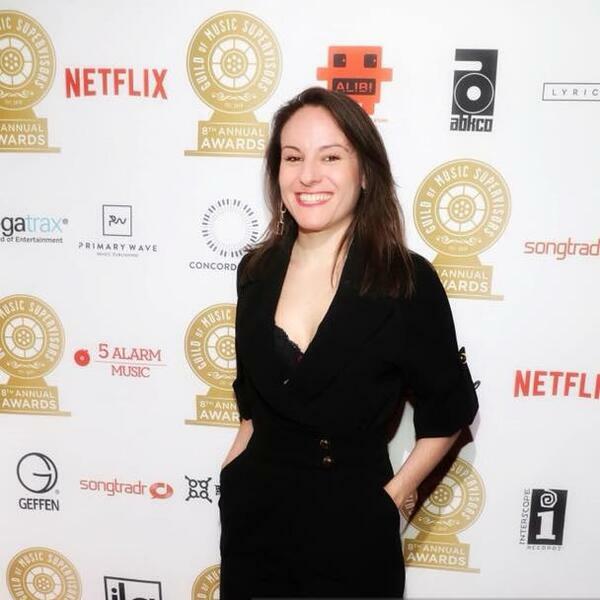 I met Jen when she was part of the traditional sync team at Warner Records before she made the jump to being a film music supervisor full time. This was also around the time that she was making short Horror films (one of which ‘My Brothers Keeper’) I saw play at the 2012 Frightfest Movie festival. Thanks to Jen for having me, I hope to have her back to talk about the specifics of some of the films she has worked on in more detail. Its also Jen's Birthday (on the day of release so a huge happy birthday to her).